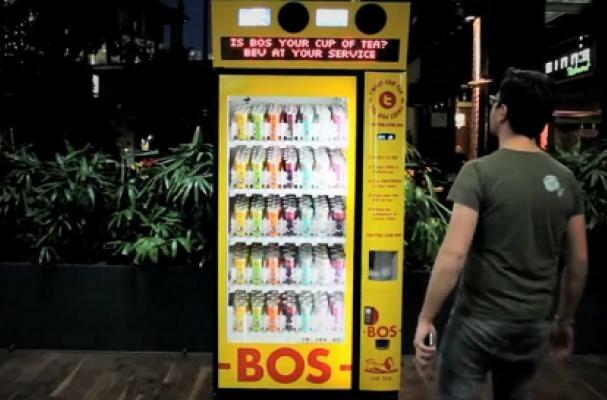 The BOS Iced Tea vending machine exchanges its delicious beverages for the price of a tweet. The Bevmax 4-45 is a Twitter-activated machine that gets users to tweet a specific hashtag for a free beverage. All users have to do is activate their Twitter location setting to avoid the machine dispensing drinks when a user is nowhere near the machine. For more social media strategies used by beverage companies, check out Coca-Cola's social media confetti.